Burgess Hill Marching Youth Band Formed in 1986, the Burgess Hill Marching Youth is a Light Infantry style Bugle and Brass band renowned for its distinctive green and white Ghurkha inspired uniform. Over the years, members have had the opportunity to perform at a variety of venues such as the Royal Albert Hall and Wembley Arena here in England as well as performing on tour in Germany, Belgium, Holland and France. Fighting for Alpha A young trio of aspiring musicians, Fighting for Alpha mix the mellow textures of acoustic instruments with hard hitting sons that are packed with harmonies and energy. 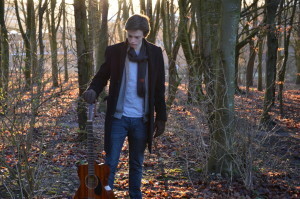 They are heavily influenced by the simplicity of artists such as Bon Iver, the Rolling Stones and the Hives. Bootleg We are a semi acoustic band playing Bluegrass, Folk, Folk Rock Country Rock, Blues covering songs by Bob Dylan, Johnny Cash, Byrds, The Band, Van Morrison, Alison Kraus, Steve Miller, Rolling Stones and many others, sprinkled with a few self penned songs. 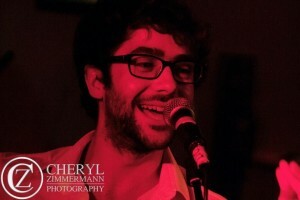 We consider ourselves as unique as we all (6 of us) take turns to sing lead vocals and of course we support with our harmonies. 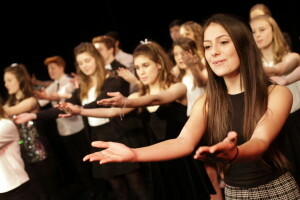 Ariel Musicality Choir and Ariel musicality choir juniors are fun and dynamic choirs for young people who love to sing. Based in Burgess Hill and Crawley for ages 6 to 24, the choirs perform a range of different musical styles from Pop to Rock to Musical Theatre. 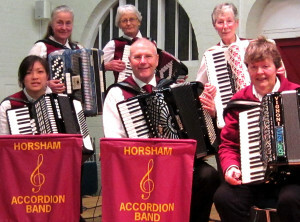 Horsham Accordion Band Horsham Accordion band (H.A.B.) was formed in 1987 by local accordion teacher John Coles. Their bookings include French, German, Italian, Scottish etc themed events, private parties, residential homes listen & sing-along sessions, folk dances, churches, various indoor/outdoor venues and more. 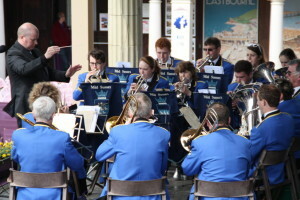 Mid Sussex Brass Band Traditional British Brass Band. 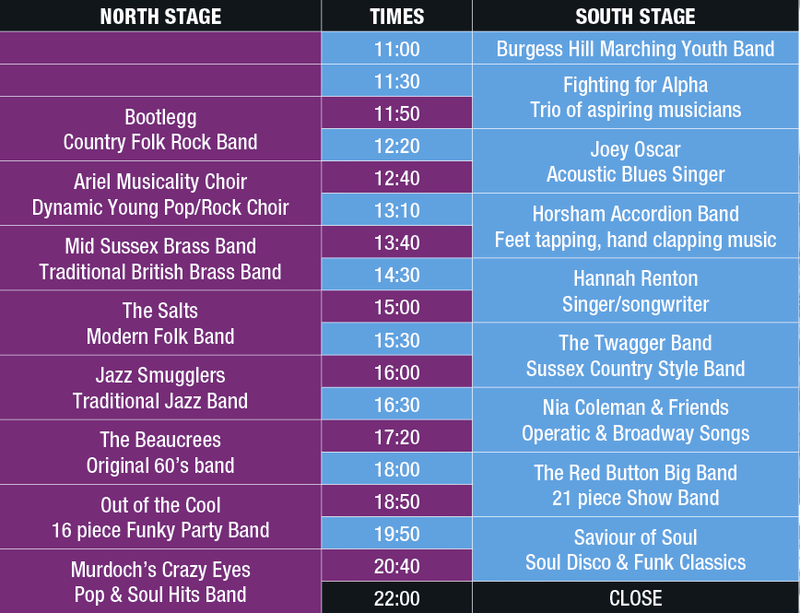 22 musicians will perform outstanding variety of songs; Let’s face the music & dance, Singin’ in the Rain, Sussex by the sea and more. 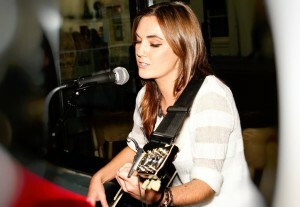 Hannah Renton 19 year old singer/songwriter currently studying at BIMM after completing my 2 year Music course at The BRIT School. The Salts Twenty first century folk fires a respectful broadside at the traditional. The Salts are a co-operative of seasoned musicians, creating what is fast becoming one of the most exciting and energetic folk concepts of recent times. 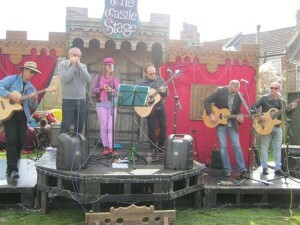 Twaggers Based in Sussex we play concertinas, dulcimers, bagpipes, whistles, harmonium, recorders, guitar and serpent. Nia Coleman & Friends at Broadway Sound A gala of voices including scenes from well-loved operas; favourite arias and duets; and few of the best songs from those Broadway shows! 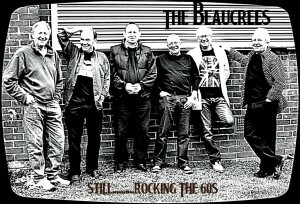 The Beaucrees are an original band from the ‘60s playing the classic hits to entertain everyone. Guaranteed to get the audience on the dance floor having a great time! 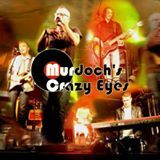 Since the band reformed in 2012 after a break of 30 years, we have been performing at sell-out gigs around London and Essex. Five of the six band members are from the original ‘60s line-up when the Beaucrees played support to acts like The Hollies, The Foremost, The Fortunes, Lulu and The Barron Knights. Their music is good old rock ‘n roll favourites and the everlasting pop hits from the ‘60s plus some of the best from later years. You’ll get the pick of the Beatles – Stones – Kinks – Searchers – Roy Orbison – Rod Stewart – Chuck Berry – Status Quo – American soul and much, much more. 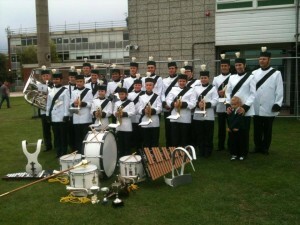 Out of the Cool 17 piece Out of The Cool is one of the South East’s premier function and event bands. 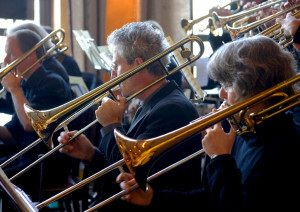 The band consists of a collection of top class professional musicians. Each member of Out of The Cool has been specially selected for their area of expertise, talent and style. Together they make up one of the funkiest and unique party bands available to hire today. 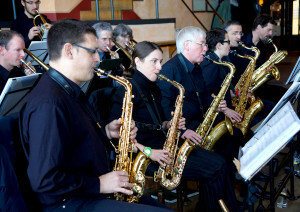 They are high energy entertainment, with fabulous professional and dynamic male and female lead vocals and a great brass section, the FUNKY TOWN HORNS! The Saviours of Soul Are a powerful 10 piece band with a professional sound taking you on a nostalgic trip through the soul, disco and funk classics right up to modern day floor fillers. The band comprises of 3 dynamic vocalists along with guitar, bass, drums and keyboard together with a three piece horn section.